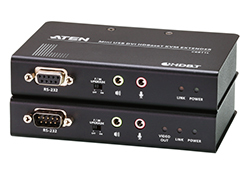 Broadcast mode – allows you to send commands from the console to all computers to perform operations simultaneously. 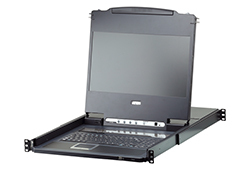 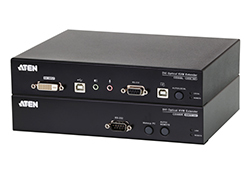 It can be cascaded to three levels – allowing up to 73 CS1768s to control up to 512 computers – all from the original single console, making it ideal for industry-grade IT applications and management. 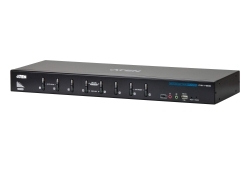 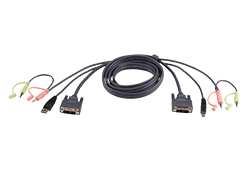 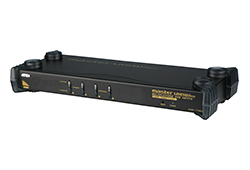 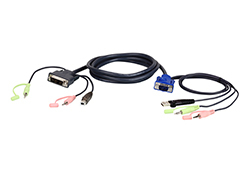 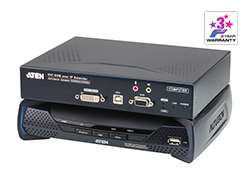 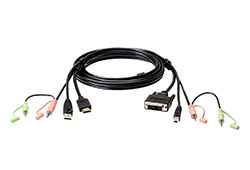 In addition, the CS1768 features Multiview functionality, which enables the use of standard USB cables to stack up to four switches for quad-viewing in multiple-monitor installations where each computer is fitted with multiple video cards. It allows you to contrast, analyse and monitor video output in convenient ways, substantially simplifying the working environment. 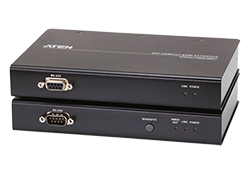 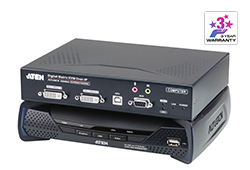 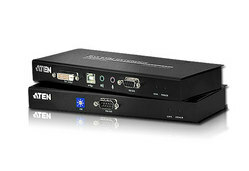 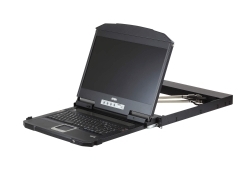 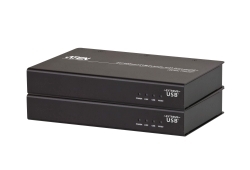 Furthermore, the CS1768 comes with ATEN’s on-screen display (OSD) function, which can access any computer connected to the installation, it also offers OSD configuration back up/restore to save/ back up the OSD settings and restore them as needed. 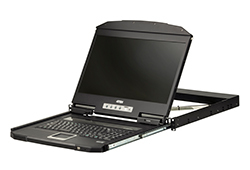 The CS1768 provides multimedia keyboard support and is audio enabled. 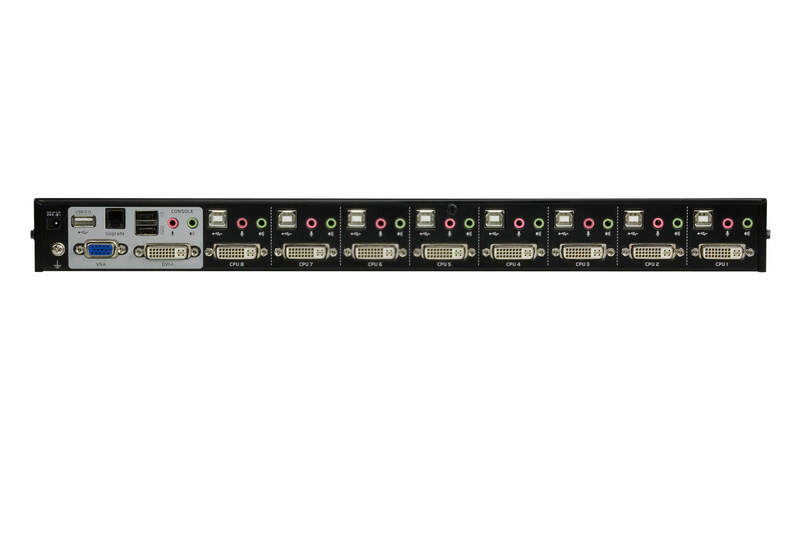 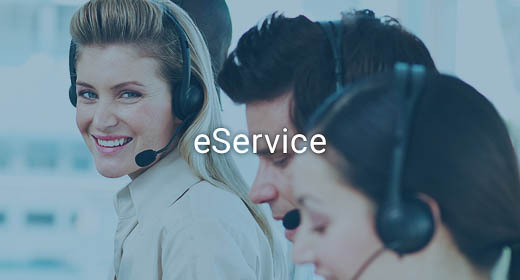 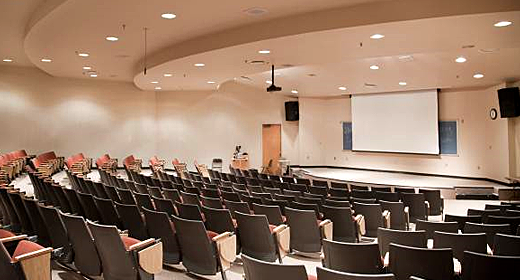 Two microphones can provide audio input to each of the computers, and you can listen to the audio output of each computer on two sets of speakers (on a one-at-a-time basis).